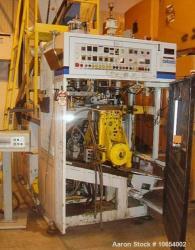 Used-Battenfeld Fischer Blow Molding Machine, Model BFB1-6D. 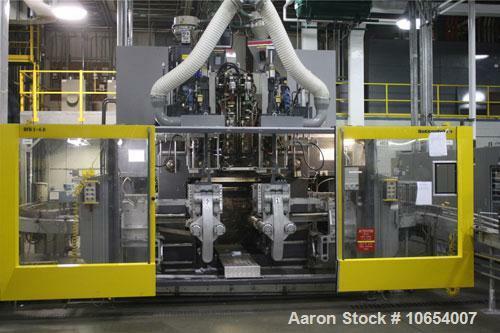 Dual shuttle, multi-layer, continuous extrudion 2 x 200 mm PE head Parison programming. Triple extruders: 60 mm, 90 mm, 60 mm. Siemens controls. Reliance DC drive motors. Pre-pinch knife assembly, in- machine trim. Manufactured 1993.